VdB 144 is a small reflection nebula visible in the constellation of Cygnus. It is located in the northern part of the constellation, near the border with Cepheus and a few degrees south of the great nebulous complex of IC 1396, in the direction of a darkened region of the Milky Way. The nebula is formed by a very faint and soft filament that reflects the light of the star HD 206509, a red giant with a spectral class K0III having an apparent magnitude of 6.17. 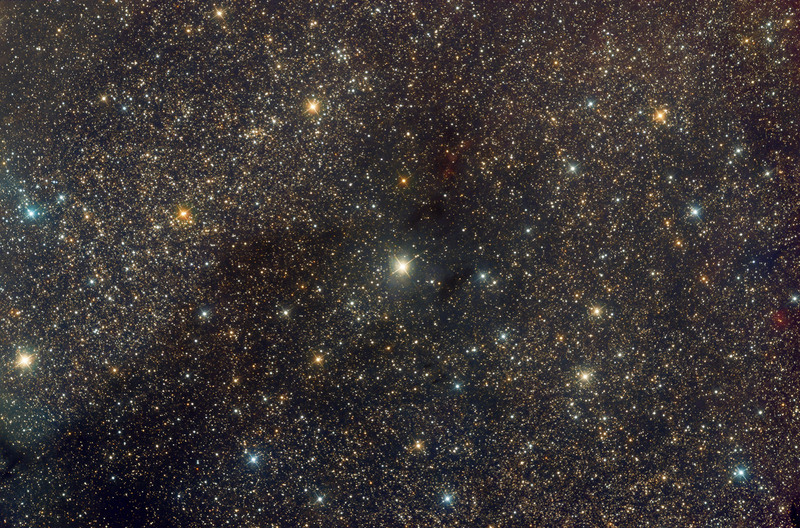 Given its distance, determined by parallax measurement, equal to 220 parsecs (716 light years), VdB turns out to be one of the closest reflection nebulae to the Solar System. Some other objects can be seen on this image (see mouseover). Among them is the small open cluster NGC 7127.